Choosing a reliable tablet can be a tricky business, especially in a market dominated by Amazon’s Fire tablets and Apple’s iPads. You might assume that you have few other choices when it comes to a lower cost entertainment tablet, but that’s thankfully not true. 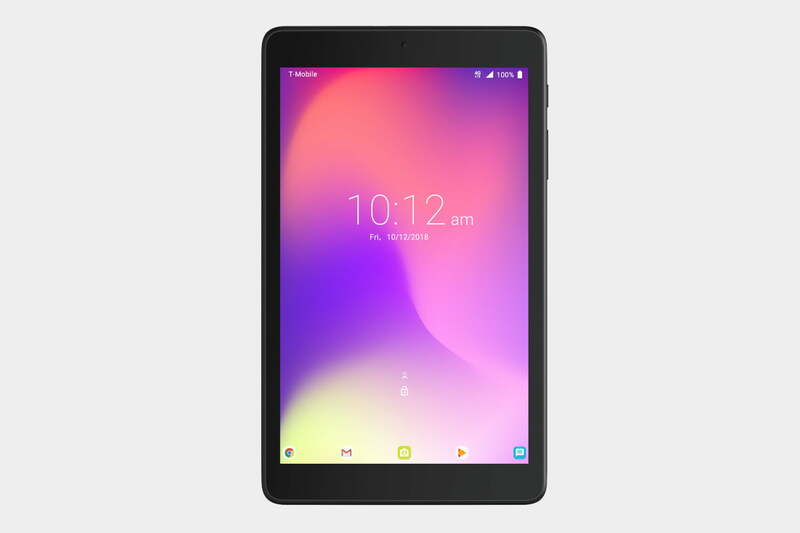 Alcatel has launched a 4G-enabled, entertainment-focused tablet for just $150, and it looks like it could be a great choice for mobile streaming, or a child’s first media device. Here’s everything you need to know about the Alcatel 3T 8. Alcatel has seemingly focused on delivering a sli9m and lightweight device that’s comfortable to hold for hours on end. The tablet weighs 10.37 ounces (294 grams), and is just 0.33 inches (8.3 mm) thick. It’s not the most stylish looker, but the thick bezels mean there’s always room to grip the tablet without accidentally touching the screen. You’ll find a Micro USB port at the top of the device, along with a headphone jack and an infrared blaster that allows the tablet to double as a TV remote — something of a rare feature these days. The 8-inch display is an IPS LCD outputting a 1200 x 800 resolution. You can also cut out potentially harmful blue light with the included Eye Care Mode, which also optimizes brightness and tone in extreme lighting conditions. The display itself isn’t the sharpest, but it still displays 720p HD content. The 3T 8 is powered by a quad-core 1.5GHz processor backed up by 2GB of RAM and 16GB of onboard storage. The processor won’t be the fastest mobile CPU in the world, but it should be up to the task of handling most day-to-day tasks, and you can boost the rather small amount of storage by up to 128GB with a MicroSD card. The Alcatel 3T 8 also has access to T-Mobile’s super-fast 4G network too, and it takes Micro SIM cards. 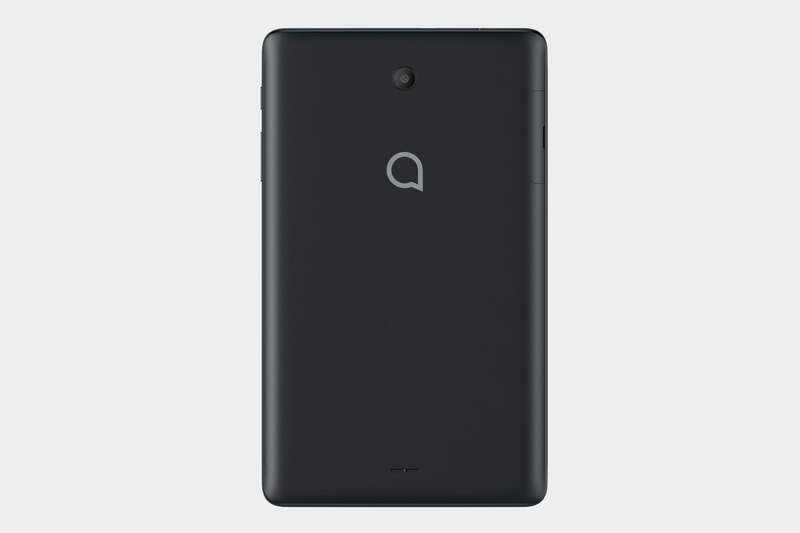 There’s a beefy battery too, with a capacity of 4,080mAh that Alcatel claims will last up to 500 hours of 2G standby, or over 8 hours of Wi-Fi video streaming. Very few people buy a tablet for the cameras, but they’re here. The rear camera is a 7-megapixel lens that will capture video up to 1080p at 30 frames per second. The front-facing camera is a 5-megapixel lens with the same support for video capture. It would have made more sense for a tablet to have these numbers reversed, as people are more likely to use a front-facing camera for video calls on a tablet, but they’re not terrible numbers either way. It isn’t running the latest Android 9.0 Pie, but it does come with Android 8.1 Oreo, as well as access to Google Assistant. The 3T 8 also comes with the Alcatel-exclusive CloserTV app, which brings together your cable TV programs, Hulu, Netflix, and Amazon subscriptions into one place, so there’s no need to swap between apps while looking for programs to watch. There’s also a built-in Kid’s Mode that allows parents to set usage timers and bar certain apps from being used by children. The Alcatel 3T 8 will be available exclusively from T-Mobile and can be bought in T-Mobile stores and online from October 12. It will be available on T-Mobile’s Equipment Installment Plan (0 percent APR) for $6 down and $6/month for 24 months.